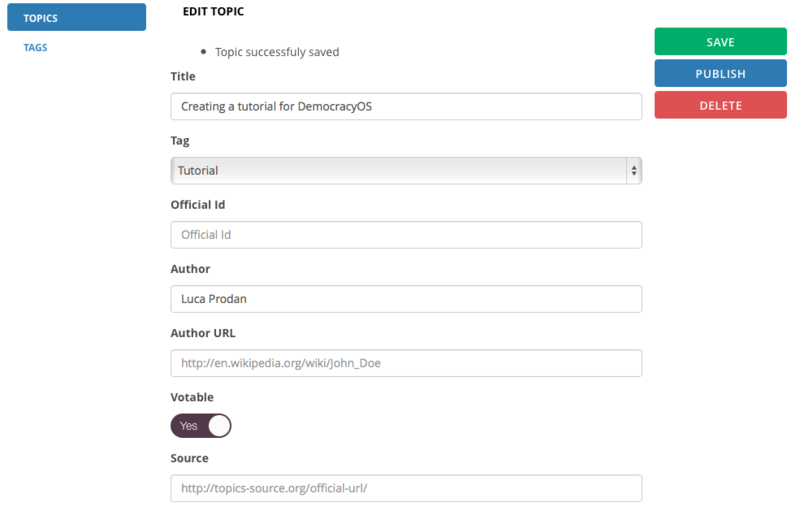 After creating your “Democracy” and a Tag, the Topic is basically the bill proposal you want to create for discussion. Where you can write a proposal, add information for a debate, and participate on it. Click on “new” or search for a pre existing Topic. Then, you just need to fill the blanks and save every time you modified something. Then click on publish if you want to make it visible, delete if you want to erease it and only save if you want to keep it unpublished.